Cambodia is a country in Southeast Asia with an area of approximately of 181,035 km2 (69,898 miles2) and a population of over 14 million people. Thailand borders to the west and north. Laos borders to the north and northeast. Viet Nam borders to the east. The Gulf of Thailand is to the south. There are two major inland bodies of water, the Mekong River Tonlé Mékong and Tonlé Sap Lake. Phnom Penh is the capital and the largest city. 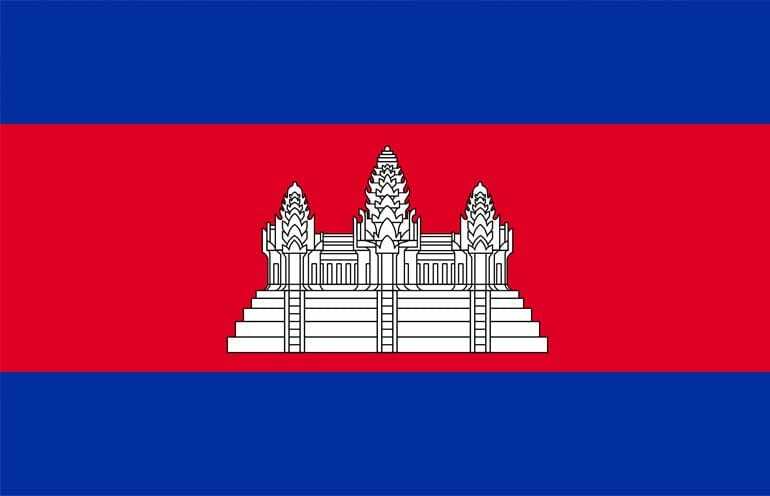 Cambodia is a constitutional monarchy. King Norodom Sihamoni is the Head of State. Hun Sen is the Prime Minister. Angkor Wat, a World Heritage site and main tourist destination, is depicted in white on the nation’s red and blue flag. Cambodia’s official language is Khmer. 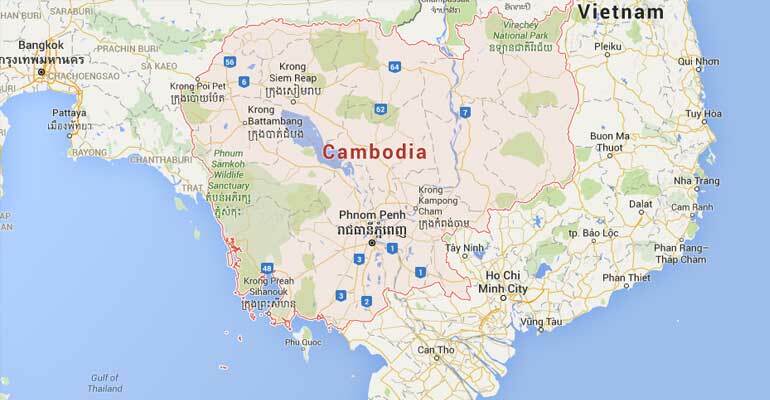 The United Nations reports Cambodia on its “Least Developed Countries” list. Cambodia’s economy is mostly agrarian but exports clothing, timber, rubber, rice, fish, tobacco and footwear. Buddhism is the official religion, practiced by nearly 96% of the population. To learn more about Cambodia, read UN-ORHLLS’s profile on Cambodia and visit Cambodia’s official web site.